The original cast of the The Avengers took out a full-page ad to pay tribute to the late great Stan Lee. Amazing tributes have been pouring in from all over the world. 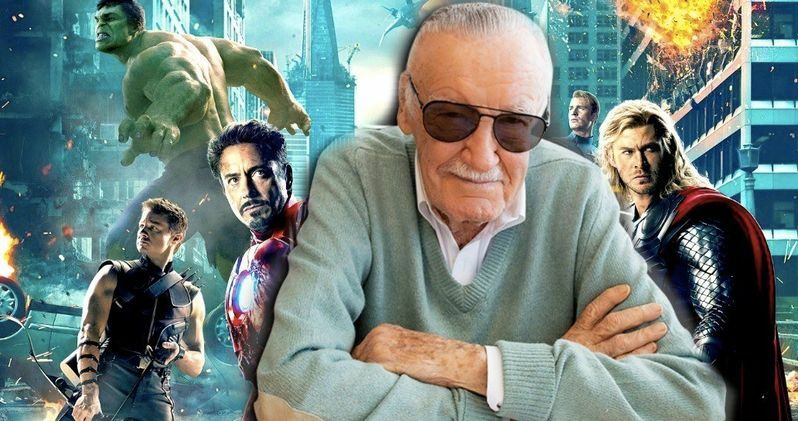 Fans of all walks of life have gone on to social media to reveal what Lee meant to them, and now, the original Avengers have taken it to the next level with their tribute to Lee, the co-creator of Marvel Comics, and the man behind many of the most beloved superheroes of all time. Scarlett Johansson, Chris Hemsworth, Mark Ruffalo, Robert Downey Jr., Jeremy Renner, and Chris Evans paid for a full-page ad in the latest issue of The Hollywood Reporter. The background image is of the iconic Avengers "A" logo drawn in gray against a black background. You can read the touching message to Stan Lee below. "We acknowledge his creative contribution, the thousands of men and women it has long employed, the millions that will continue to be entertained, and above all, his inimitable wit, grace and humility. Stan, we love you, we will miss you, we're grateful to represent a small part of your amazing legacy." The tribute to Stan Lee signs off with Scarlett J, Chris H, Mark R, Robert D, Jeremy R, and Chris E at the very bottom of the ad. It's a very classy way to pay tribute to "Stan the Man," and something that he would more than likely really appreciate. The original cast of the first Avengers are a tight-knit group of friends, who recently had to say goodbye to each other after the Avengers 4 reshoots. Now they have reunited to respect the legend of /stan-lee-dead-marvel-comics/Stan Lee after his recent passing. Scarlett Johansson, Chris Hemsworth, Robert Downey Jr., Jeremy Renner, and Chris Evans all celebrated the release of Infinity War by getting matching tattoos that combine their character attributes into the Avengers logo. Mark Ruffalo is the only one who has yet to get the tattoo, which has resulted in some teasing from the rest of the cast. However, the actor admits to being scared of needles. With that being said, he will more than likely breakdown and get the tattoo now that Stan Lee has passed away, to continue to pay tribute to the comic book legend. While all of the tributes to Stan Lee have been heartwarming and tear jerking, none of them are as good as Lee's tribute to his fans. The official Twitter account for Lee released a new video of him speaking candidly about the love that he has for all of the Marvel fans from all over the world. The interview hadn't even started and the camera was being set up when Lee shared his message. Now, there's another awesome tribute to the man who made a huge impact on the world. You can check out the original Avengers tribute to Stan Lee below, thanks to the MCU News and Tweets Twitter account.